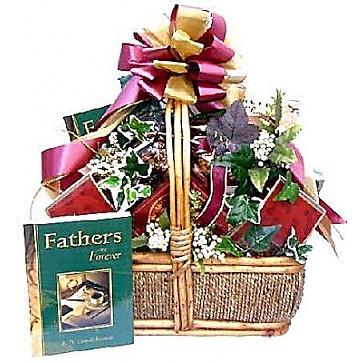 Filled with such a large assortment of delicious treats, sweets and gifts how could this gorgeous gift basket not make Dad feel like a million bucks!!! A Perfect way to say Happy Father's Day! 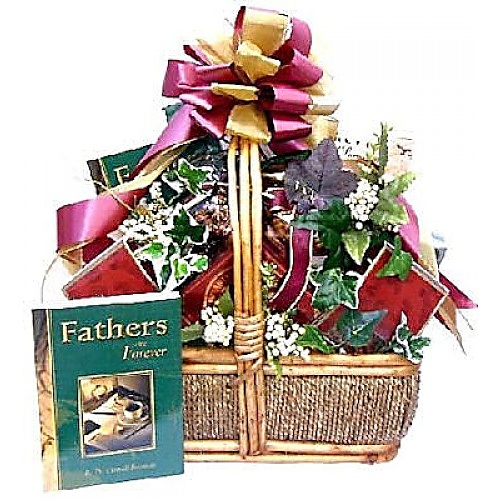 A wonderful book titled "Father’s Are Forever" filled with famous quotes and short stories about Fatherhood that are sure to soften up even the toughest of Dad’s!